Faraday Future, the electric-car startup that is developing a 1,000-horsepower, self-driving SUV, has signed a lease on what it says will be its future assembly plant. The site, a one-million square-foot building located about 40 miles south of Fresno, California, in the city of Hanford, was one of several sites Faraday had been scouting after it pulled the plug on its original proposed manufacturing project in North Las Vegas, Nevada last month. “We know there is a lot of work and risks ahead,” said CFO Stefan Krause, who was recently appointed as COO of the company. He said the new site “represents a major step forward” for Faraday after a year of executive departures, lawsuits from suppliers, and an impending cash drought. “Investors invest in people, and our employees continue to be Faraday Future’s strongest asset,” Krause said. 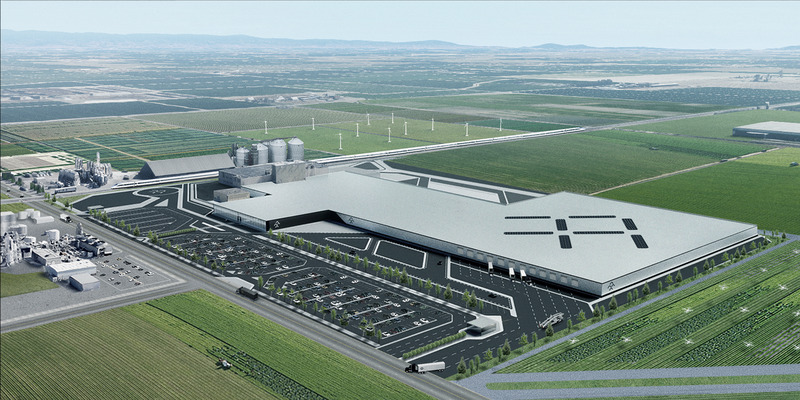 Business Insider first reported that Faraday was close to signing the deal on its new facility. The Hanford site, nicknamed the “Sequoia Plant” for its proximity to Sequoia National Park, is not quite ready for primetime, Faraday representatives said. A contingent of employees traveled to the site on Saturday for a day-long clean-up effort. Some employees — including Faraday’s new chief technology officer and BMW veteran, Ulrich Kranz, could be seen painting inside the facility as the company’s inaugural vehicle, the FF91, sat parked nearby. Faraday’s vice president of global manufacturing, Dag Reckhorn, said the new factory represents their commitment to getting the FF91 on the road by late 2018. The challenges for Faraday remain steep. Krause is courting multiple investors in search of at least $1 billion in new funding. Some of those investors, Krause told Business Insider in an interview last month, have indicated their readiness to move forward with Faraday if it secured a factory. The company recently put up its Los Angeles-area headquarters as collateral to secure a $14 million loan from Innovatus Capital, and more money will be needed to finish vehicle development and get its new California site up and running. This morning we went down to the beach to watch the Hermosa Beach Ironman. It consists of a 1 mile run down the beach, then you grab your surfboard and paddle back one mile to the start/finish line and to complete the event you have to finish off a 6 pack of your favorite beverage. This town knows how to party. Another celebration. Shutdown Pier Ave and Hermosa Ave for booths. Lots of cool arts and crafts. Carnival rides petting zoo and adult beer party as well. Something for everyone. Very nice festival. Parking around town is impossible. Lots of Uber and shuttle busses.